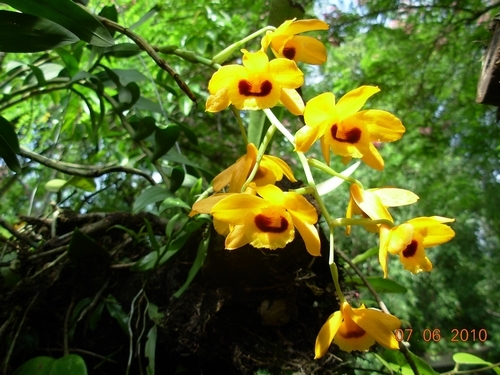 Dendrobium aurantiacum var. denneanum (kerr) Z. H.Tsi. 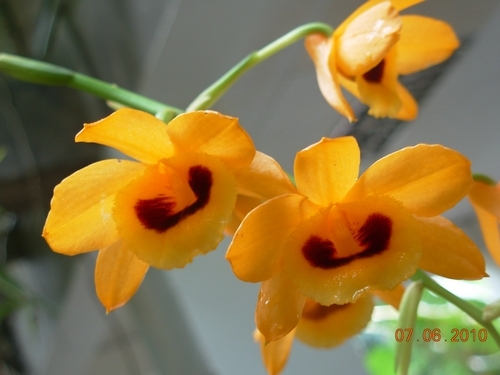 (Orchidaceae) is an abundant species widely distributed in south China, and has become one of the mainsources of Caulis Dendrobii, locally known as ‘ShiHu’or ‘HuangCao’, popularly used in traditional or folk Chinese medicine for its antipyretic, eye-beneﬁtingand immunomodulatory effects (Committee of ChinesePharmacopoeia, 2005).